Medical parameters, which are indicated on the cannabis products, are still not accepted. Firstly, such products are used in the treatment of psychiatric and neuropsychiatric disorders, such as Tourette\’s syndrome or post-traumatic shock disorder. The history of a patient, who took part in the research studying the effects of cannabis on the human body, shows that cannabis can become a significant medicine in the treatment of addictions. A 60-year-old man has been drinking alcohol on regular basis since he was 20 years old. For the first time he decided to give up alcohol 15 years ago. Many times he tried to quit drinking by himself and with the help of special programs for people with alcohol abuse – self-help groups, doctors or psychotherapists. He was assigned several kinds of medicines in the framework of the therapy. But unfortunately, neither of these attempts has led to the desired result. In 2000, he finally realized that official medicine would not help him and that on the path to liberation from alcohol abuse he can rely only on his own unbending will. But one day, by accident he noticed that cannabis helped to abstain from drinking. He quickly realized that due to cannabis and his own efforts he was able to cope with the devastating addiction and get rid of inner tension, which had forced him to drink alcohol. Today, there are many medical reports that confirm this fact, including experiments on animals. According to a survey conducted in 2003, where 408 people addicted to heroin took part, it was found that the subsequent use of cannabis is not associated with an increased incidence of relapse during therapy, that is, use of heroin or cocaine. Studies conducted in the psychiatric clinic at Columbia University in New York have shown that moderate consumption of marijuana accelerates the action of naltrexone therapy in patients who suffer from a hard drugs abuse such as heroin. 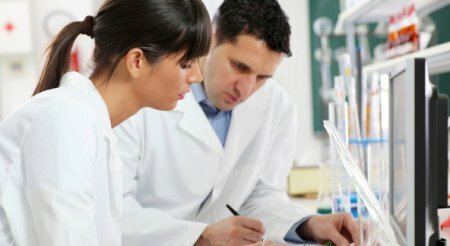 63 drug-dependent patients, who were hospitalized for detoxification and initially have been taking naltrexone orally accompanied by a 6-month behavioral therapy, were divided into three groups based on the urine analysis (depending on cannabis consumption): abstinent cannabis smokers (negative urine tests for marijuana), social cannabis smokers (1-79% of positive urine tests for marijuana), consistent cannabis smokers (80% or more of positive urine tests results). Naltrexone – a medicament, an opioid receptor antagonist, which is used mainly for alcohol or drug addiction. The patients, who occasionally have been using cannabis during naltrexone therapy, showed more progress than the patients from the other two groups. In 1970, a report on the treatment of a 49-year-old woman suffering from alcohol dependence was published. The report\’s author Dr. Tod Mikuriya was one of the most active fighters for the use of cannabis for medical purposes in the United States. The doctor noticed that his patient takes less alcohol when smoking cannabis. Then he told her to smoke as soon as she feels the desire to drink. Together they tried to find the right dose which on the one hand would have allowed her to live without alcohol, and on the other hand would have allowed her to live a normal and active life. What did they manage to do? After 5 months of cannabis therapy the woman managed to stay in control in difficult situations, which previously could had led her to the alcohol. Now she does not take alcohol and smokes marijuana only, while she does not lose self-control. Also her physical condition has improved and the woman has become less irritable, and concentrates better. 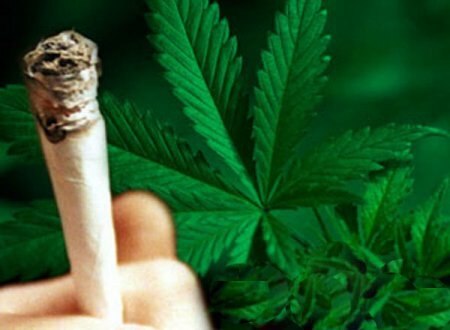 In 2009, the Faculty of Medicine at Yale University in New Haven conducted a study with the participation of 28 people smoking marijuana every day, with a history of severe alcohol abuse in their past. It has been found that alcohol consumption during the cannabis abstinence increased. There were 13 days without cannabis. Patients, previously dependent on alcohol, have increased its consumption by 52% during this period. Thus, the authors of the study confirmed the drug substitution in a subgroup of daily marijuana smokers.